House On Fire are a four piece Indie/Rock/Punk band from Tunbridge Wells and Brighton known for their tight and energetic live shows. The current line-up has been together since March 2012 and has since worked to spread their name across the South East of England and increase their following, regularly playing shows across Sussex, Kent and London, including the odd acoustic gig. The band released their debut E.P. 'Truth Or Dare' in May 2012, which was featured on BBC introducing in Kent and earned the boys a place supporting Funeral Suits on their tour. At the end of 2012 House On Fire shot their first music video with The Grad Factor and STAG Music, appearing on the TV series 'The Grad Factor' under their previous name 'The Visitors' and ultimately winning the Twitter vote as the favourite band of the series with their song 'Menace Boys'. 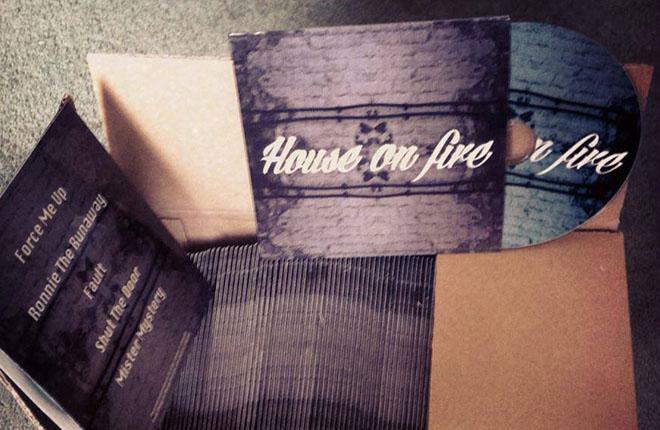 In January 2013 House On Fire recorded their second five-track EP 'House On Fire - EP' at UnStudios which is available on iTunes now. Right now the band are regularly playing shows all across East Sussex, Kent and London whilst finishing off writing their debut album.